Joseph Muscat will only act when the ground underneath him gets smaller and smaller… as it surely will, the longer this game of hide and seek continues. It is becoming increasingly clear that Prime Minister Joseph Muscat is playing hide-and-seek with the damning 17 Black revelations. His initial reaction was to claim that the issue was ’under investigation’… before it was clear that a police investigation was under way. 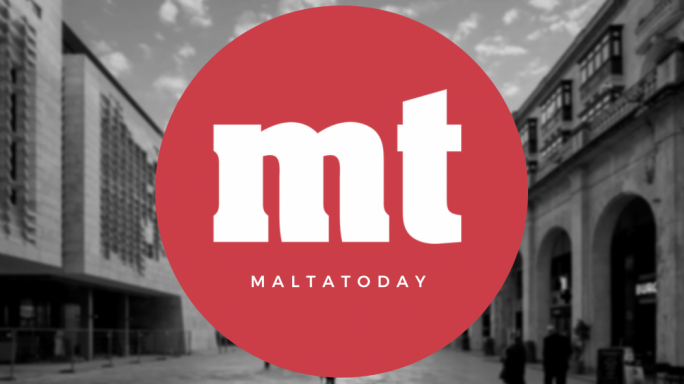 With the investigation now separately confirmed, Muscat claimed that it was not a criminal investigation into Keith Schembri, but rather into the company itself. It is at best unclear what Muscat meant to say by ‘as it should be’. Legally, it is true that the police – being (in theory) autonomous from government – are under no obligation to inform government of its operations. But here there is prima facie, enough reasonable doubt to suspect involvement of government officials in what could possibly be criminal activity. 17 Black has been identified as a target client for the Panama companies set up by Schembri and Mizzi; and while Mizzi still denies knowledge of the company, Schembri has previously admitted that it formed part of his company’s business plans. It has now been revealed that 17 Black is possibly owned by Yorgen Fenech, an investor in the Electrogas consortium that built and operates the gas power station. Fenech has not denied the association. Two considerations emerge from these facts. One – given that that the Prime Minister has declared he will not take action until the ongoing investigation is concluded – it is incumbent on the police to confirm or otherwise the details that have already emerged in the press. The public is entitled to information about a case that has such grave implications for the rule of law. We need to know, at minimum, what stage this investigation is at, and whether any arrests are being contemplated. Moreover, it is patently absurd for Muscat to argue that the only entity being investigated is the company itself. Companies have ownership structures, and conduct their business with other companies owned by other people. It goes without saying that a police investigation into a company would, de facto, also investigate the people who own and do business with that company. Two, the political repercussions of such a state of affairs do not depend only on the precise legality of the procedures. There is a universally acknowledged yardstick for propriety in such cases: any form of investigation, one that is arguably looking into what could be a secret company structure to funnel underhand payments between a government official and a company that has benefit from a government contract, would make the positions of Keith Schembri and Konrad Mizzi untenable. In answer to this, Muscat has simply pointed towards past (and present) cases where political figures have been investigated on criminal grounds, yet refused to resign. He cited MP Beppe Fenech Adami and MEP David Casa, who are currently being investigated by the FIAU and possibly the EU’s anti-fraud agency OLAF respectively. “What’s good for the goose is good for the gander,” Muscat said. This is quite frankly irrelevant. Casa and Fenech Adami do not occupy key governmental positions; and in any case, their failure to resign is a matter to be questioned separately. There is another, equally clichéd English idiom to be used here: ‘Two wrongs do not make a right’. This is especially relevant given than Joseph Muscat owes his position as prime minister to a 2013 promise of ‘transparency’, ‘meritocracy’, and – above all – ‘accountability’. Nonetheless, there is also a party-political dimension to this impasse… and on this level, Muscat is surely on more solid terrain. He can hope to be buoyed by Labour’s own support, each time his political enemies call for his resignation – and it is perhaps for this reason that, to date, Adrian Delia has chosen to carefully avoid making that call himself. Instead, the PN leader is strategically trying to demolish Muscat’s own logical arguments for keeping Schembri and Mizzi on after the 17 Black revelations. His arguments are difficult to counter, but Muscat has an advantage: he knows that his electoral advantage will not wane as a direct result of this controversy. On the contrary it might even grow. In itself, the situation suggests that Muscat will keep playing for time, in the hope that any magisterial inquiry that might take place in 2019, could either absolve his two allies, or find no grounds with which to metastasise into a criminal investigation. Muscat will only act when the ground underneath him gets smaller and smaller… as it surely will, the longer this game of hide and seek continues.